A dog's nose is as unique as a human fingerprint. The lines, ridges, and even nostril openings on a dog's nose form an entirely unique pattern, which means they can be nose-printed as a means of identification. In fact, nose-printing is considered to be the most accurate identifier of many animals, better than the increasingly common microchips that can be embedded under skin. Maybe Jackson Oz could use this information as he investigates what's happening on Zoo. 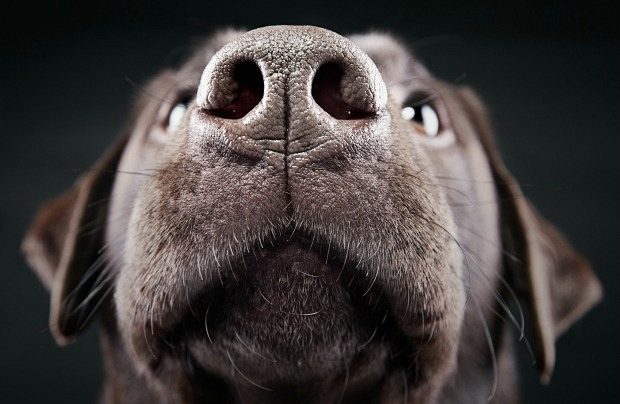 While a dog’s nose helps us identify it, it also helps the dog identify the world. A dog's sense of smell is 10,000 to 100,000 times as acute as that of a human. Imagine if you were to apply that to sight. If a human with 20/20 vision can read an eye chart from 20 feet, imagine being able to read that chart from 10,000 times the distance—that’s nearly 38 miles! A dog's sense of smell is not so much related to distance, but to how saturated the air is with scent particles. They have roughly 300 million scent receptors in their noses, compared to about 6 million in humans. Furthermore, the part of a dog’s brain that is dedicated to analyzing scents is, proportionally, about 40 times greater than ours.